Proposed Itinerary by Isratour H.I. · VIP Welcome at the Plane door by our representative and assistance with arrival formalities. · Meet your Tour educator, at the exit. · Visit Caesarea the harbor city of King Herod. · Visit Haifa and enjoy the breathtaking view of the Bahai gardens. · Drive to the hotel in the Galilee. · Enjoy the SPA facilities (included in your stay). Depart Hotel and drive into the hills of Galilee. · Visit Nazareth and explore the Basilica of the Annunciation, where the Angel Gabriel announced to Mary that she would be the mother of Christ. 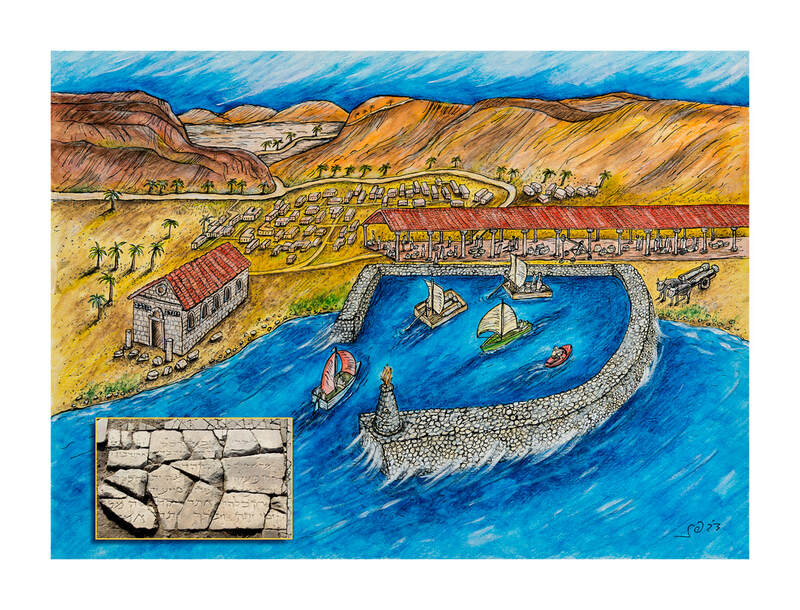 · Drive through Canna where Jesus performed his first public miracle turning water into wine. · On towards the Sea of Galilee to visit Tabgha- where Jesus multiplied the 2 fishes and 5 loaves of bread and fed 5000 of his followers. · Mount of Beatitude where Jesus preached famous sermon. · Capernaum the center of Jesus's ministry. · Yardenit, the Baptismal site on the Jordan River. · Jeep Tour in the Golan.explore the old Syrian bunkers. · Tour the Golan Heights and learn about it's important to the security of Israel. · Visit IDF outpost facing Syria. · Check out your Hotel. · Visit the ruin the byzantine and biblical city of Beit Shean. · Drive the scenic road of the Jordan valley. Ascend to Jerusalem through the Judean Hills. · Stop at the Mount Scopus Promenade to say the traditional “Shehechiyanu” blessing, recited upon entering Jerusalem. · Ascend to Mount of Olives. · Mount Zion Lust super room. · Special Walk through the Jewish and Christian Quarters of the Old City. · Church of the Holy Sepulcher. · Visit the Mammilla shopping street Mall. · Experience Shopping in the Arab Shuk (Market). · Visit the busy out door farmer market of Machne Yehuda. · The Knesset (Israeli parliament). Dinner at: On your own. · Leave the hotel very early to Descend to the Dead Sea Basin. · Visit Qumran where the Dead Sea Scrolls found. · Ascend Masada by cable car/ walk up to visit Masada. · Swim/Float in the Dead Sea. · Yad Vashem (the new holocaust Museum). · Late Lunch in Ein Karem. · Visit the Church of John the Baptist in Ein Karem. · Visit Jaffa Neve Sedek and the white City of Tel Aviv. · Lunch at Tel Aviv Harbor Project. · Tour of Tel Aviv neighborhoods. Transfer to Ben Gurion Airport, and receive VIP assistance at the airport by our representative and assistance with departure formalities. Hotels accommodations: Isratour H.I. will reserve the rooms for you at 5 and 4 stars. · Tour is H/B along the way (Excluding 1 dinner in Jerusalem when free day). VIP Service: Upon Arrival and Departure. Entrance fees along the tour: Will be paid by Isratour. Guide + VIPs tourism Bus /Van: Cost includes: insurance, gas, tolls and parking's. Payment Policy: Down payment to: 10% down to start the process and complete payment due 2 weeks prior to trip. Either: OR C/C (when paying with CC + 3%). Cancellation Policy: Should a disaster/NO TRAVEL occur, refund of all monies but 10%. Payment: Personal check address to "Isratour H.I. Ltd" of 10 Abba Hushi, Haifa Israel 34786 or Bank wire via Swift system ,credit card and paypal are available at a 4% premium. Cancellation fee: 1-7 days before arrival 30%.